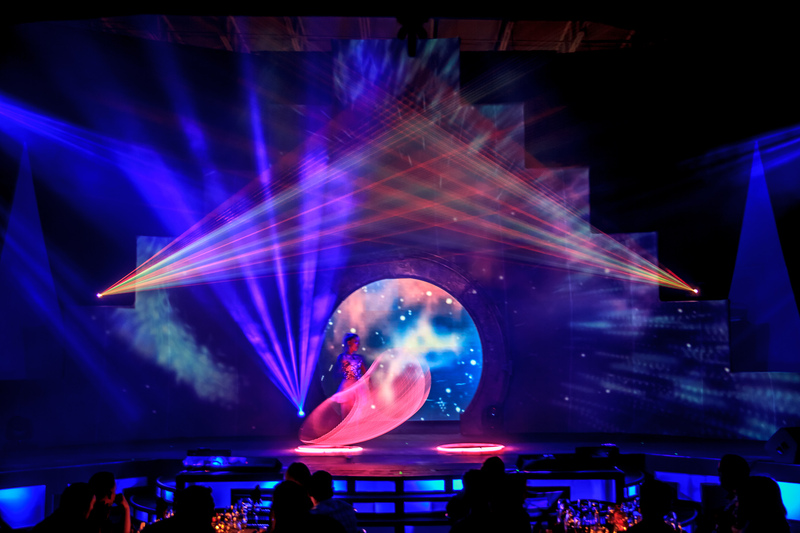 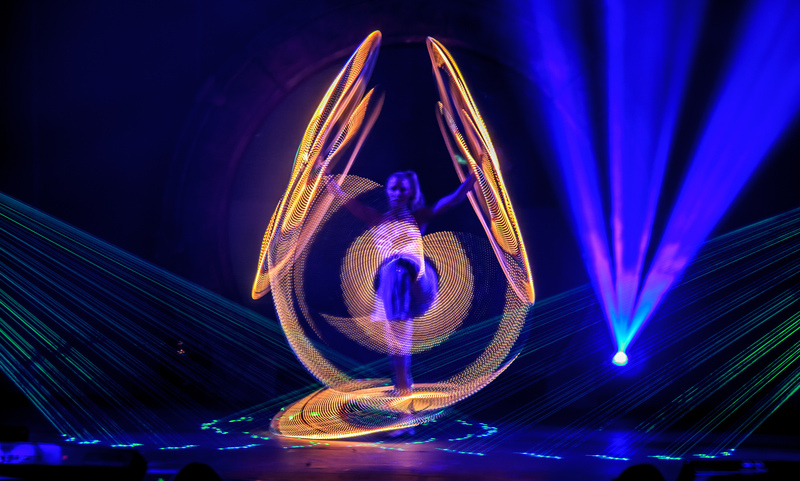 Rainbow colored, rhythmic lights and movement inspire awe and wonder. 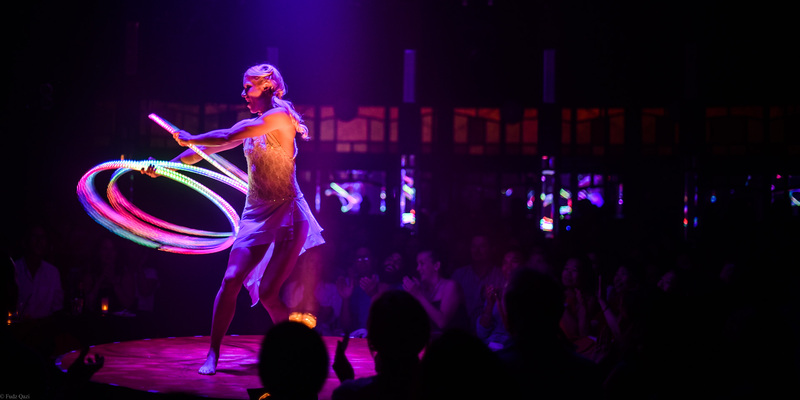 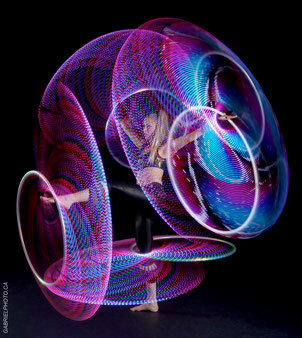 The perfect wow factor to highlight Satya's amazing hula hoop skills. Audiences won't be able to look away! 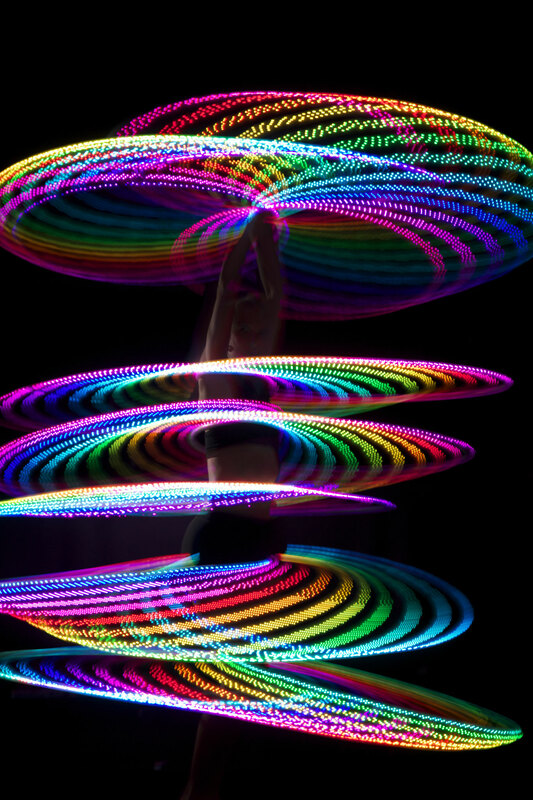 A stunning display of colour with lights. 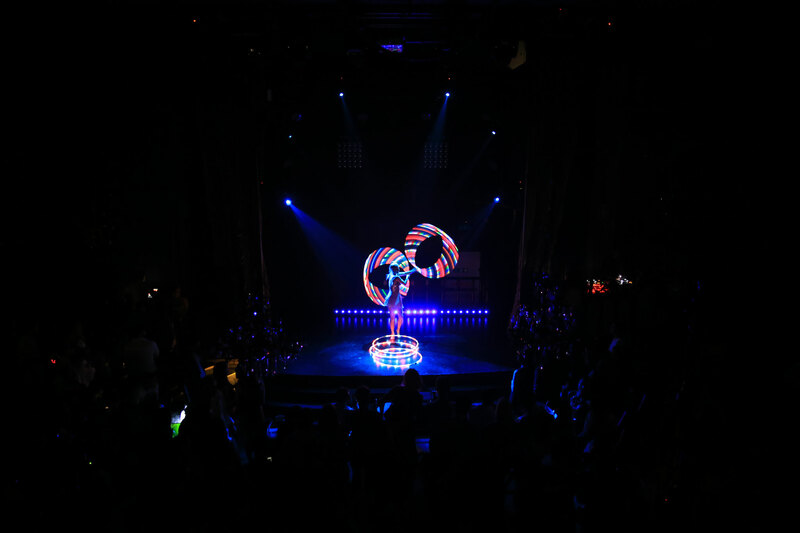 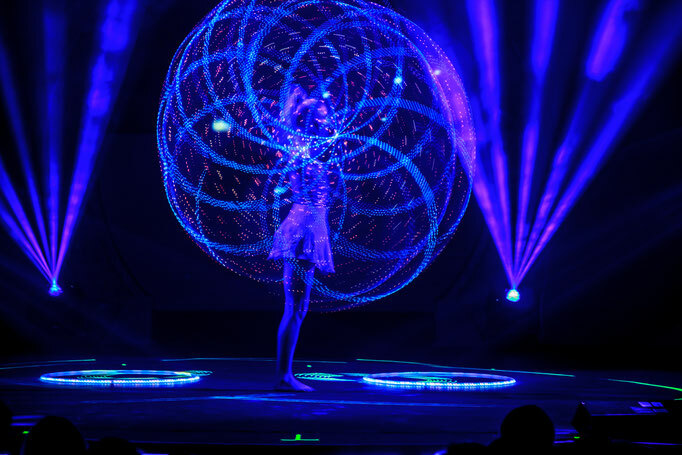 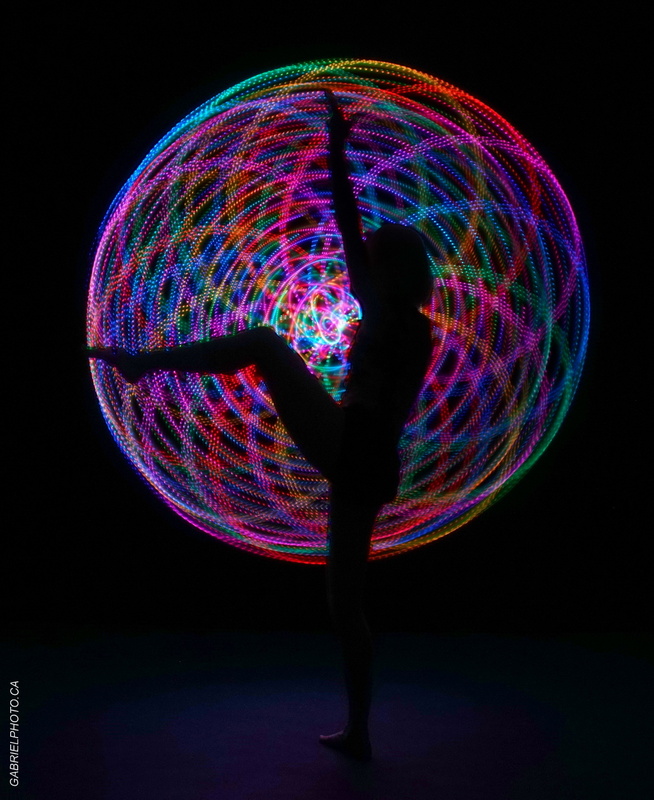 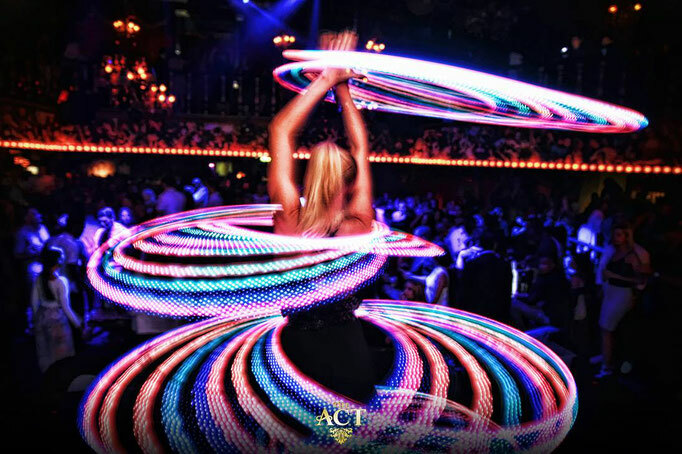 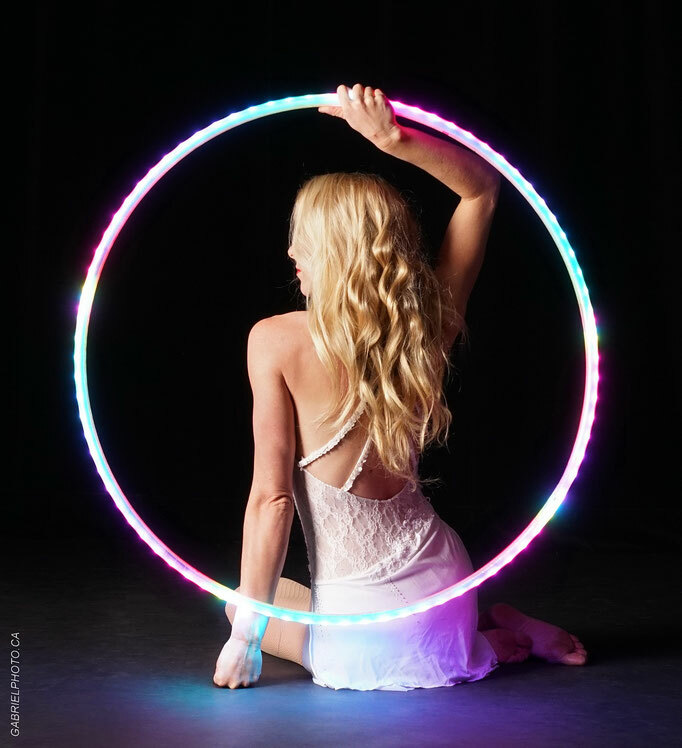 A mix of high skilled hula hooping and flexibility taken to the next level with the latest colour changing LED technology. 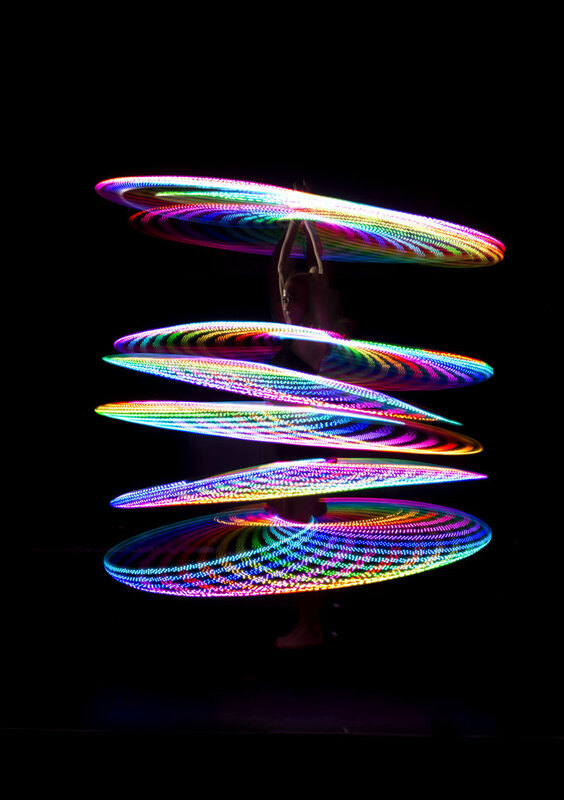 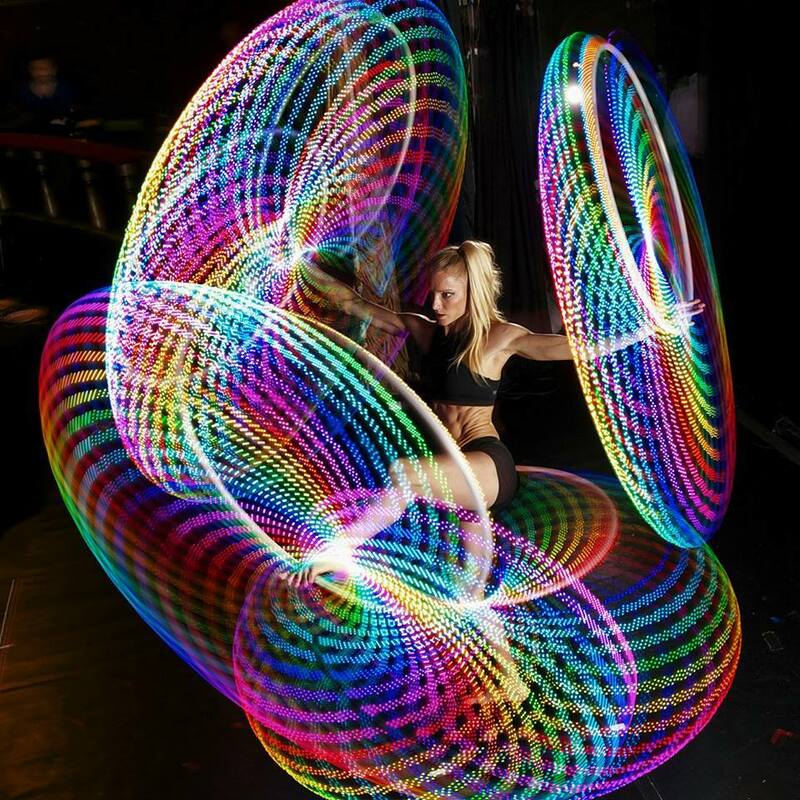 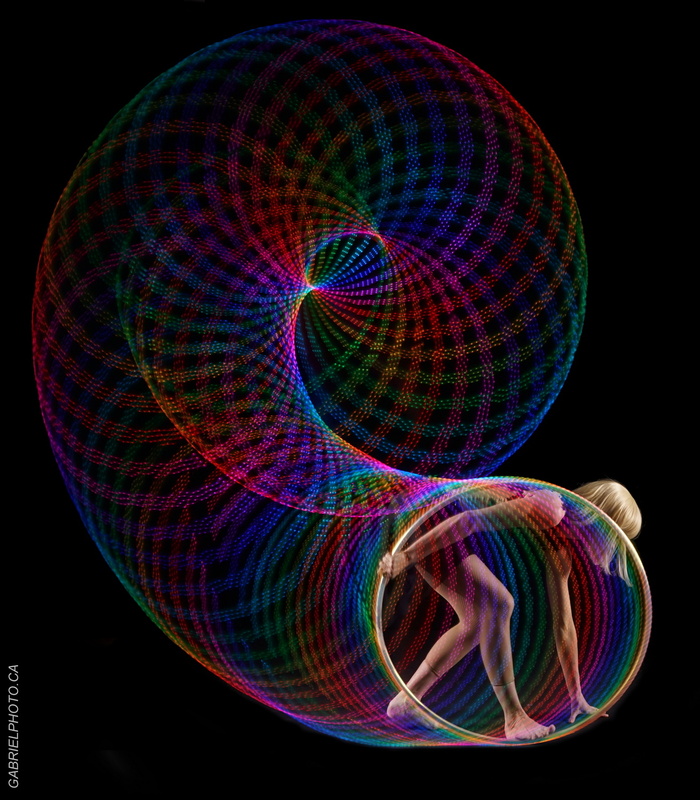 Hula Hoops are programmed in advance to change colour on the beat of the music. Specific colours and logos/graphics can be requested.